The plan is part of the county’s Ellicott City Safe and Sound program which aims to reduce the chances of flooding in the city. A wet Thursday last week has prompted Howard County, Maryland, to activate a component of its Safe and Sound plan for Ellicott City’s waterways. The plan directs crews to inspect waterways for debris after more than 2 inches of rain falls in a 24-hour period or when sustained winds of 30 mph blow for an hour or more. 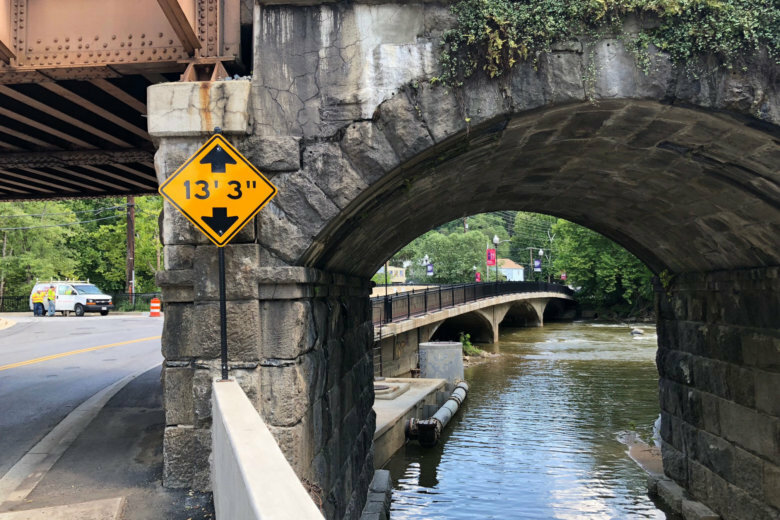 “Debris is a serious public safety issue because during weather events it can create blockages throughout the watershed that can lead to flooding,” said Howard County Executive Calvin Ball. According to a county news release, there were nearly 3 inches of rainfall at the Alpha Ridge Landfill; more than 2 inches of rain was also reported in three other spots in the county. Columbia Gateway reported 2.54 inches, Little Patuxent River at Centennial Park measured 2.12 inches, while Patuxent River and 9th Street in Laurel reported 2.36 inches. Crews from Howard EcoWorks are inspecting for debris at 55 sites along nine waterways. Those waterways include the Bonnie, Hudson, Little Plumbtree, Plumbtree and Tiber branches, and Autumn Hills, Little Patuxent at Allview, New Cut, and Race Road waterways. After debris is identified, EcoWorks crews and Howard County Public Works personnel will clear what’s been found within 14 business days. The debris removal plan was first activated last month. “In February, when we had that severe wind storm, that triggered it and we were actually able to clear over 3,800 pounds of tree branches, logs, cinder blocks and more from those nine waterways that sometimes can adversely affect the flooding situation,” said Ball. There’s also an interactive map where the public can track cleanup progress.